Over the next few months we’ll be bringing you our favourite tech for the summer months, whether you’re looking for a charging device to keep your gadgets juiced up at festivals, need a portable speaker to blast out tunes in the park or a waterproof camera to capture every sunshine-soaked selfie. In this video it’s all about the most portable, compact and good-looking speakers on the market for picnics, park trips and outdoor tunes. 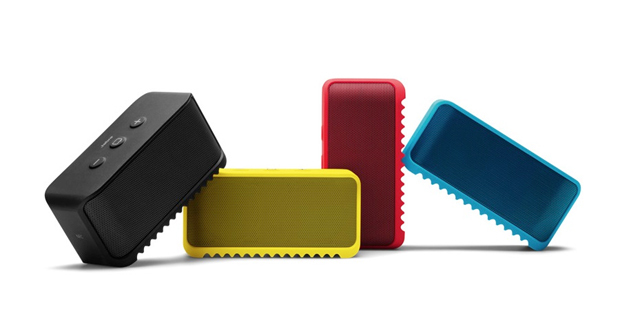 First up we’ve got the Mini Jambox from Jawbone. Weighing 255g and measuring only six inches in length, it’s small and compact enough to carry with you throughout the day and packs a whole ten hours of battery life per charge. 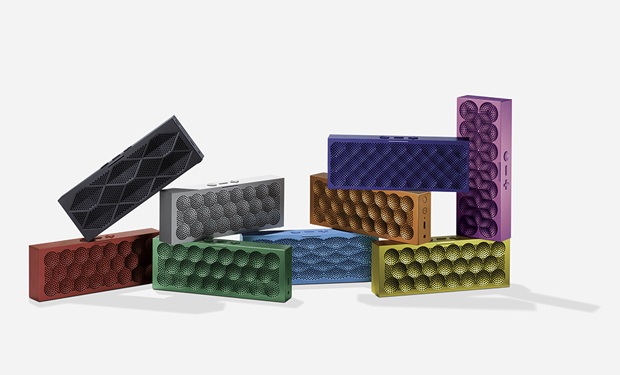 The speaker can play audio from any Bluetooth device, but has a range of smart features too, like Multi Play, which allows you to connect to more than one Jambox and the audio operates through the Jawbone app too, which allows you to personalise your Jambox experience too and get constant updates. You can buy a Mini Jambox from the Apple store for £129.95. Bose has packed all of its high-quality audio tech into this tiny seven inch Bluetooth speaker that’s perfect for the summer. It has a whole seven hours worth of battery life per charge and its strong aluminium casing means it’s durable enough for days out. There is the option of buying separate cases for added protection, and although they’re an extra £20, they do add a pop of colour to the speaker too. 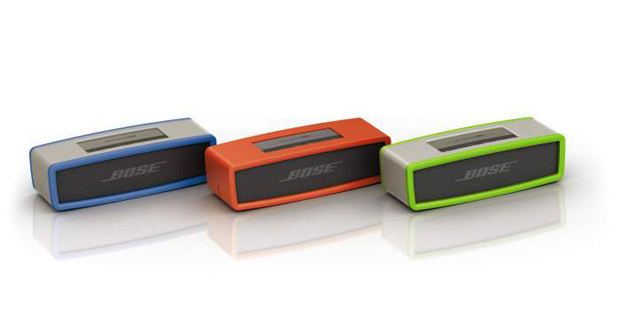 You can buy a Soundlink Mini speaker from the Bose website for £169.95. The Solemate Mini is Jabra’s gadget for teeny tiny Bluetooth speaker lovers and allows you to play music wirelessly or hook your phone up to a hidden wire in the device’s sole. It’s ideal for days out and summer relaxation because it’s dust and splash resistant and has a tough rubber coating to save it against accidental knocks and falls. You can get your hands on a Jabra Solemate Mini from Amazon for £59.99.